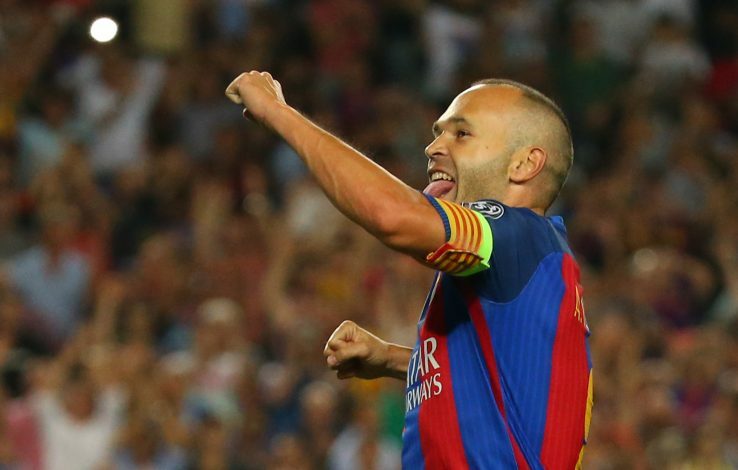 Barcelona’s veteran midfielder and club captain, Andres Iniesta, has reportedly signed a ‘lifetime contract’ with the Catalan club, thereby putting all rumours regarding his departure to bed. Iniesta was skeptical of staying at Camp Nou following his contract expiration next summer, as he had stated that he was considering his future. However, the Blaugrana have now officially confirmed that the 33-year-old has put pen to paper on a deal that would keep him at the club until he retires. The Spanish midfielder made his debut for Barca on October 29th, 2002, after coming through La Masia, Barcelona’s youth academy, which he joined at the age of 12 in 1996. Since then, Iniesta has made 639 appearances for the La Liga club, and is second on their all-time list of highest appearances, behind ex-captain, Xavi Hernandez. The 33-year-old was handed over the captain’s arm-band by Xavi when he retired in 2015, and since then, Iniesta has captained the side. The Spaniard has netted 55 goals for the club, and shares the record with Argentina international, Lionel Messi, for the most titles, 30, in Barcelona’s history. Iniesta, who scored the extra-time winner in the 2010 World Cup final against the Netherlands in South Africa, has been ‘one of the Club’s most distinguished symbols’ as well.